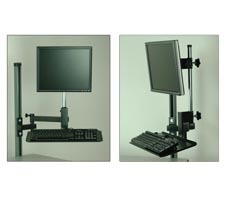 These handy overhead computer monitor mounts allow you to keep your workspace clear while still having easy and convenient access to your data. These units all attach to any overhead support structure and can be moved up and down to suit any work height. 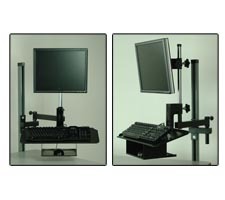 Choose from 4 separate models. 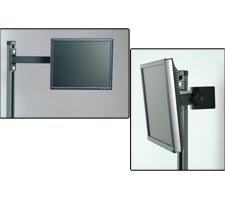 This fixed angle monitor arm supports a flat screen monitor at a 45º angle to the workstation operator. 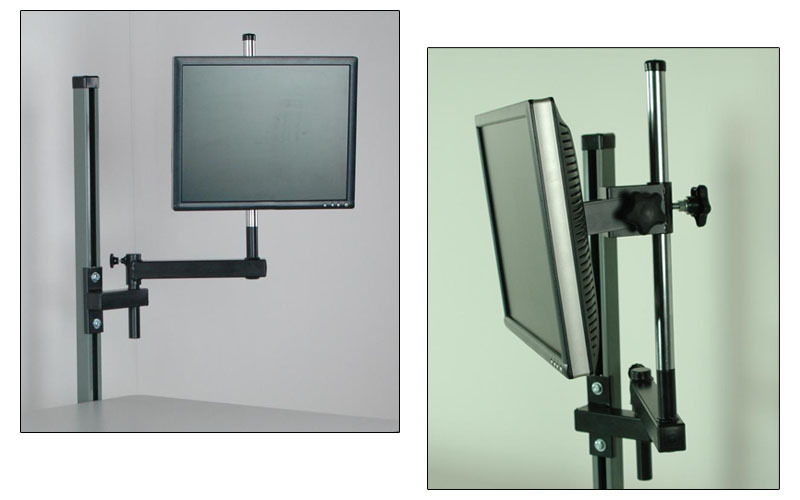 The bracket that holds the monitor also allows for up to 45º tilt utilizing a hand-adjust knob behind the monitor. Capacity: 20 pounds, Arc Welded 1-1/2" box tube construction. 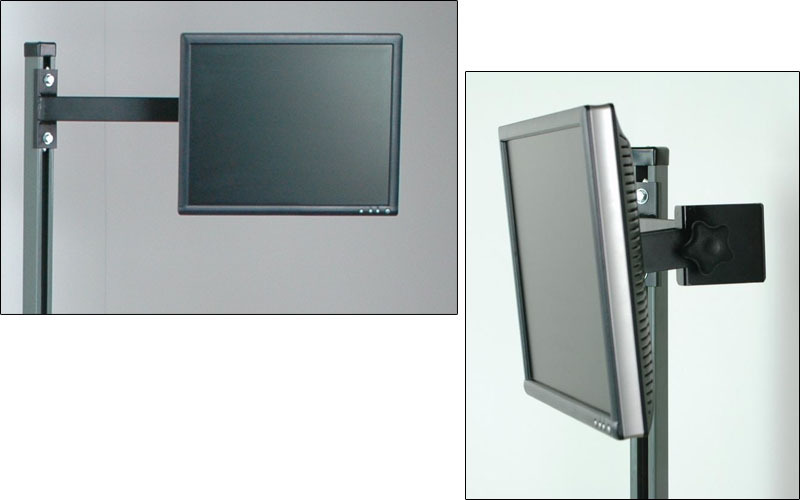 This unit features a 10" swing arm with a 16" chrome pole where the monitor bracket attaches. 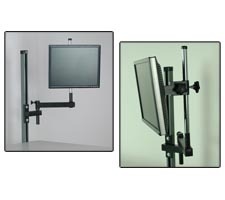 The swing-arm allows for a complete 360º rotation, 60º of tilt and 16" of height adjustment. Additional 10" swing arms can also be added if further articulation is necessary. Capacity: 50 pounds, Arc Welded 1-1/2" box tube construction. 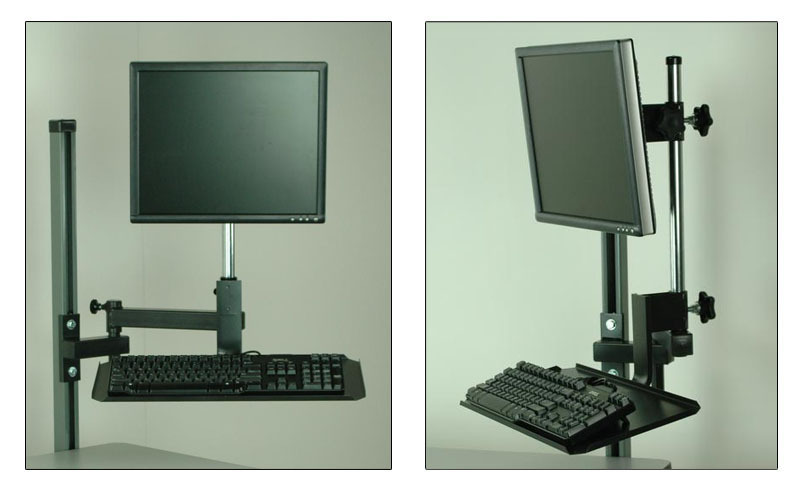 This is the same as the plan articulating arm, however this unit also includes a keyboard tray that can swivel 45º. Capacity: 50 pounds, Arc Welded 1-1/2" box tube construction. Same specs as above with the addition of a spot welded 18 Gauge Mouse tray under the keyboard tray. 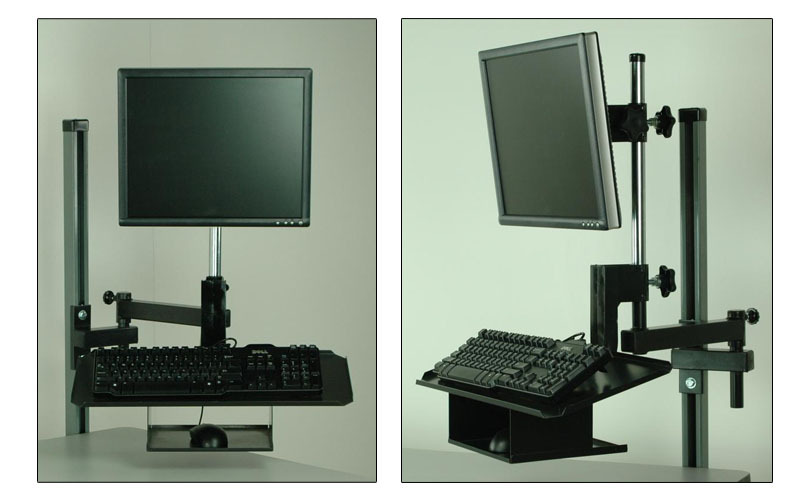 Add overhead storage and lighting to your workbenches with these angled overhead support towers.